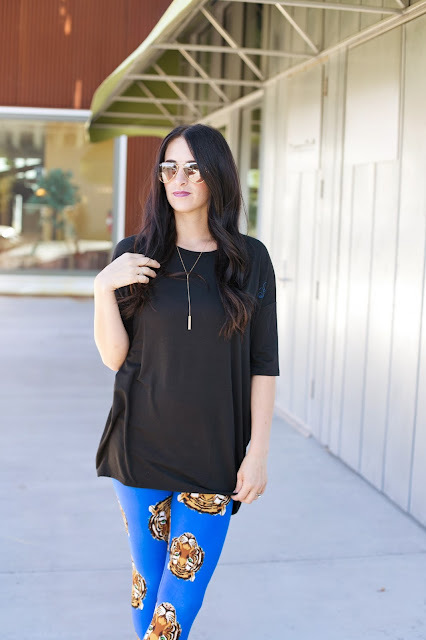 How cute are all these new leggings prints that Lularoe has? I absolutely love that all of our prints/fabrics are made by us for us. Which means you can't find the exact same prints any where else except from a Lularoe consultant! How fun is that?! 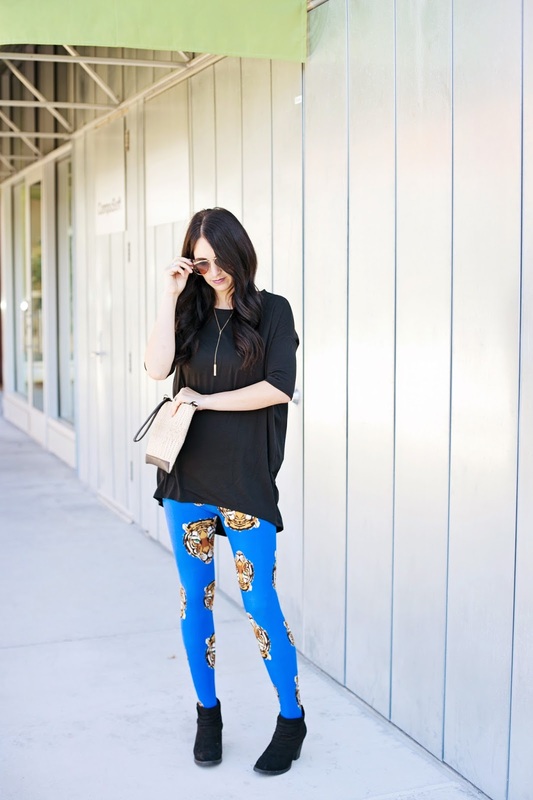 These tiger print leggings are my new favorite print I have (literally my favorite prints change every time I open up a new shipment which is multiple times a week ha). And of course you can't go wrong with black Lularoe Irma top. 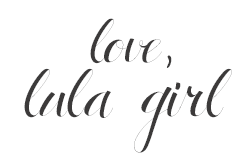 On a completely different note, can I just tell you how much I love that Lularoe has made me not afraid to "roar." I have a voice and dreams and Lularoe has become my outlet to share those and helps other regain their confidence in themselves. I am so thankful to be a part of such an incredible company. Anyways hope you all have a fantastic Thanksgiving holiday! There is so much to be thankful for.